Not every divorce must be battled in court. Recognizing that family matters are often best resolved by those most impacted, Mr. Bezinque was the first to introduce the Rochester area to Collaborative Law. Assisting his clients to maintain dignity and respect in crafting a lasting resolution of divorce and separation issues, he works closely with them to resolve all aspects of divorce, including custody and parenting of children, valuation of division of assets, businesses, spousal and child support. A founding member of the Collaborative Law Association of the Rochester Area, Mr. Bezinque maintains close working relationships with professionals in financial management, mental health and valuation to achieve an effective outcome for his clients. Assisted by experienced counsel and trained professionals, Collaborative Law helps ensure the dispute remains confidential and out of court. Serving the greater Rochester, New York region, including Monroe, Genesee, Livingston, Ontario, Orleans, Wayne and Wyoming counties. The goal or purpose of Collaborative Law is to offer clients a structured, non-adversarial alternative to a court-based system of dispute resolution. Both clients retain their own specially-trained lawyer to assist them in resolving family issues fairly and equitably without going to court or threatening court action. The parties agree to utilize neutral appraisers and professionals where appropriate and to avoid subjecting their children to court-appointed forensics. Detailed and complete disclosure is required. Both parties sign a binding agreement to disclose all reasonable information and documents, and to do so early, fully and voluntarily. Hiding documents and stonewalling are not permitted. A successful Collaborative Law process is often quicker, less costly, more individualized, less stressful and almost invariably more satisfying. At its best, it is a process driven by mutual understanding. If either party decides to litigate after beginning the Collaborative Law process, both parties must hire new lawyers for court. Neither attorney nor their firms are allowed to represent a collaborative client in contested litigation, but they may assist in uncontested matters such as completing the divorce. 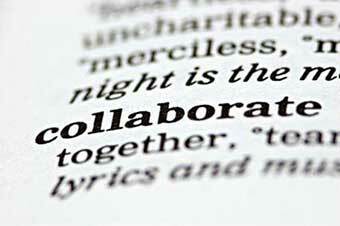 This commitment to the collaborative process assures that the focus is solely on a negotiated settlement. It frees the participants to be as creative as they want, without fear that their words will be used against them in Court. With attorneys assisting in reaching a resolution, participants have built-in legal resources for experienced advice about the legal process and how a court might address the situation.